Furmint is a white-wine grape originating in Hungary (though perhaps brought there many centuries ago from the Piedmont region of Italy). It is not infrequently used to make a usually monovarietal dry table wine (though sometimes it is blended with Hárslevelü and Sárga Muskotály), but most consider its best and highest use to be in the famed dessert wine Tokay (often spelt Tokaji), and it is that use that makes it generally considered one of the dozen and a half or so of world-class white-wine grapes (those in boldface in the varietals list to the left of the page). Today, production remains centered in Hungary, but also extends to Slovakia and Austria and a few other locales in the same general region. Most dry Furmint today comes from the Somlo region (in northwest Hungary). Factoid: Furmint tends to be confused in the literature with several other grapes, notably Sauvignon Vert, Poŝip, and Grasă de Cotnari; some of the alternate names are really different grapes, but some alternate names for different grapes are also names used for Furmint. It's a mess. "The grape has the potential to produce wines with naturally high levels of acidity with complex flavors derived from phenolic compounds in the juice and through brief contact with the grape skins. Furmint wines, particularly the botrytized dessert wines, can have immense aging potential . . . This potential comes from the balance of acidity and high levels of sugars in the wine which act as preservatives during the aging process. Dry styles of Furmint are characterized by their aroma notes of smoke, pears and lime." "Dry styles of Furmint are increasingly popular, and are marked out by their rich, sometime smoke-scented wines. Aromas of lime rind, pears and oranges are often described in such wines. As it ages, Furmint wines take on copper- and amber-like colors and nutty, spicy flavors." "It is an unusually versatile grape. The wines can vary in colour from the lighter, leaner, silver-green Furmints of Austria, right through to the deep golden versions from Hungary, with the Slovenian ones sitting somewhere in the middle. The grape is thought to take its name from froment, the French word for wheat, referring to the more common golden colour it displays. The typical aromas range from green apple and pear through to more tropical fruits such as mango and pineapple. It works well in a fruity, unoaked style, but it also takes very well to ageing in oak barrels. What all the dry styles have in common is a bright, vibrant acidity running through them, making them buzz with energy. Furmint is like a white grape supergroup. It's got it all: the pungent aromatics of Sauvignon Blanc; the richness and oak-friendliness of Chardonnay; the minerality and acidity of Riesling. Somehow it manages to combine all these attributes into one unified whole. Not surprisingly, it is often a pretty intense experience." "Furmint's characteristics are clear, apricot and a hint of honey on the nose. The depth of fruit is balanced by its mineral backbone." 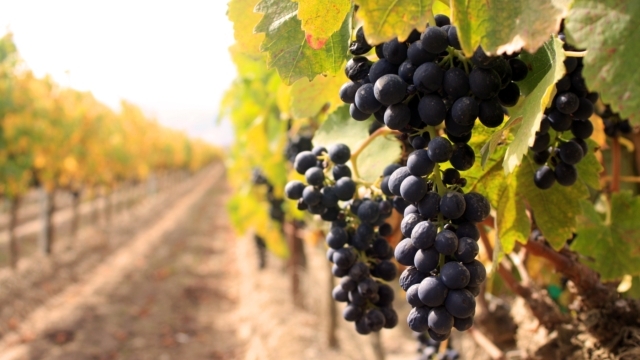 "Characteristics of the grape: natural acidity that adds structure to both dry and dessert wines. As a dry wine, flavors are pear, fresh apricot, peach, smoke." "Dry vinified Furmint has a bright, golden yellow color with greenish tints, a fruity bouquet reminiscent of ripe apples and hay with hints of spice, and the taste of peaches, apricots and walnuts. After aging in wood it develops an aroma of honey and walnuts. Rich in extract, it makes a heady, robust wine. " "Furmint, known in Slovenia as Šipon, is of course the classic white grape variety of Hungary's sweet, golden Tokaji but an increasing proportion of it, even in north east Hungary, is now being vinified dry and shows just how noble this grape variety is. Since about 2003, Hungarian growers have been experimenting with making dry whites from this fiery grape, trying out oak ageing and lees contact, and some of them even seeking out specific terroirs most suitable for dry white wine growing." "Many dry white wines are made from the Furmint grape, which is a very high quality grape that probably originated in Hungary. The grape forms the major part of plantings in Tokaj (about 70%) and is known for its complexity of flavor, its finesse, longevity, high acidity and sometimes high alcohol. Young wines . . .can have flavors of lime peel, pears and some steeliness if made in the correct way. Sometimes picking at the wrong times can affect the ability of the flavors to come out, where perhaps the acidity is piercing high but the flavor is subdued." Notice that most of the selections below are expressly labelled by their makers as "dry" (or the equivalent). With Furmint, it is quite important (if you want a table wine) to be sure you're not getting a sweet version. ♦ Redolent of scents of hay, lemon zest, and minerals, this dry white wine is a blend of furmint (70%) and another indigenous white grape in Tokaj called hárslevelu (30%). It's worth noting that the wine has just 12.3% alcohol. Királyudvar Tokaji Sec 2005 is like no other dry white wine you or I have ever tasted. It reminds one of white Burgundy with its rich, thick texture and exceptional finesse — yet it's nothing like chardonnay in taste. It's more individual and particular than that. ♦ The resulting dry Furmint delighted all of us at the table. It had a rich, enticing and exotic aroma of overripe pear and perhaps a touch of camphor. Others smelled dark berries and even bubble gum. The lush texture and honeyed flavor reminded me of why Furmint and Hárslevelű work so well in Tokaji Aszú. Ample acids provided refreshing balance, and I loved the clean, minerally finish. ♦ The Kiralyudvar is what I call "dry, but ..." There is an enormous mineral bent to it, beeswaxy texture and an old-attic muskiness, along with robust orange fruits: apricot, grilled peach, orange peel. The "but" is a background sense of sweetness, rather than sweetness per se, if you get me. After a day or even two, the wine continues to live, via baked-in savory vanilla notes. It is thick, masculine, fibrous wine, rich and long-living. 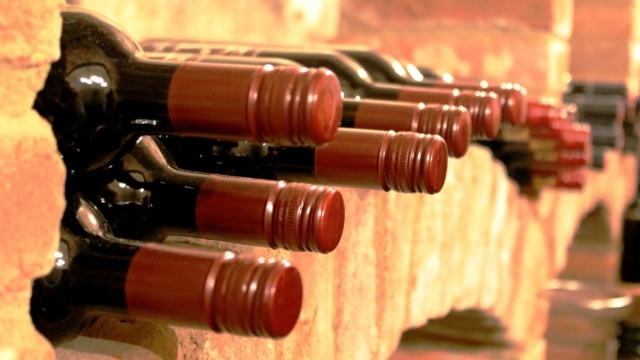 Those who describe themselves as "red-wine drinkers" would, if honest with themselves, adore it. ♦ Minerally aromas and an unexpected roundness on the palate. ♣ Pannon Wine Challenge (2011), a Top Wine. • This wine's CellarTracker review pages (confused multiple entries owing to the accent marks). ♦ Fermented in stainless steel and aged in oak, this offering from winemaker Gergely Makai is a softer expression of this high acid grape, due in large measure to the time it spent in Hungarian oak. Nice citrus, apples and a bit of vanilla on the finish. ♣ #1 Furmint of VinCE Magazine ["Hungary’s leading wine magazine"] Dry Furmint panel tasting. ♦ Apple, earthy, more vegetative, slight petrol note, bracing acidity. ♦ [T]his 2013 Decanter Gold Award-winning bottle is very dry, but still luscious and aromatic, with honeysuckle aromas and flavours of dried pears and apricots. Try with mildly spiced Middle Eastern or Asian foods. ♦ Overall, it is striking how consistent Dobogó’s Furmint is showing across very different vintages: the temperate wet-autumn 2005 and the torrid dry 2007. There are minor differences between these four bottles but the style remains the same: that distinctive peachy, apricotty, fleshy silky touch of absolute fruit ripeness. Dobogó are some of the last wineries to harvest grapes for their dry wines, well into November, so that with no malolactic fermentation, the wine is always in balance and never shows the typical searing limey acidity of underripe Furmint. ♦ Hungarian dry Furmint at its most intense and oaky made by the Zwack family from two first growth ‘organic’ vineyards, Betsek and Szent Tamas near Mad. Rich bouquet of pears and lime with a dense smoky, almost steely palate, deep oaky notes and very long length – could be better with another year in bottle. Most definitely the highest quality in the tasting, hence its price – but not the easiest wine to drink its own – it definitely needs food – try matching with it a mild green Thai curry or very rich fish dish. A "STAR BUY". 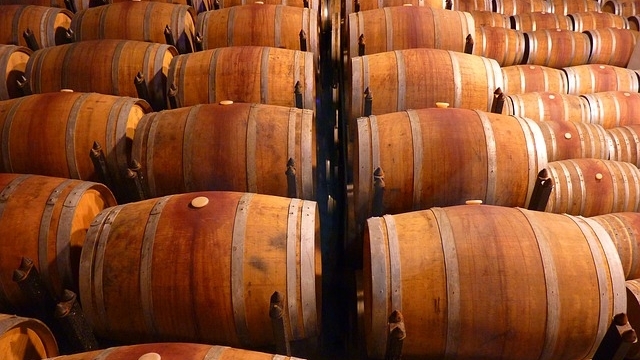 ♦ For Dobogó, partial oak fermentation is important for adding depth and texture to the dry Furmint. This tiny but charming winery has 5ha of 30-year-old vines in some of the best sites in the region, and only produced its first dry wine in 2003. Like many in the region, winemaker Attila Domokos has been learning what works with Furmint as a dry wine, and the 2006 release is Dobogó’s best yet, with real elegance and balance. ♦ Bright gold colour. Spicy and fruity, with lovely nectarine aromas and a touch of mint. In the mouth the flavours are apricot, nectarine and dried mango all underpinned by keen acidity. Full-bodied, very fruity, long and punchy. 91 points, good value. ♦ Enticing aromas of pear and white peach set the stage for flavors of peach nectar and slightly tart white plum. This wine is full in the mouth with a bright citrus note on the finish. 90 points. ♦ It is an intriguing, complex bottle with aromas of baked apples, honey and spices. All this deceives you into thinking the wine will be richer than it is; the palate is pure and given focus by Furmint’s bracing acidity. ♣ Silver MedalInternational Wine Challenge: "Rich honey, mint subdued, nutty aromas - powerful. Firm acidity with nice fruit/honey, floral dryish finish." 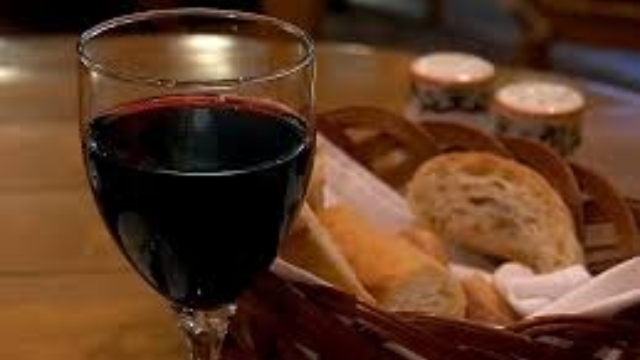 ♦ [T]his was another wine that was intensely aromatic, but light on the palate. It was a bouquet of citrus, honey, apples and spice. Butter, roasted nuts, pear and a touch of lemon zest on the finish, plus perfect acidity, made this an exceptional dry wine. ♦ In a different register is the musky, slightly spicy Patricius Tokaji Dry Furmint 2015…which would be delicious with smoked and salted fish such as salmon or salt cod, or a smoked fish pie. ♦ Lemon colour with quince and pear on the nose. Some jammy character. Bright flavours on palate with quince and zesty lemon, vibrant ripe fruit of pear and touch of spice. ♦ This medium weight wine has a good balance of acidity and fruit, making it a versatile wine with food. ♦ [T]he grapes are picked much earlier [than for sweet Tokaji] to keep it dry and fresh. It may be dry but some of the sticky characters remain in the glass with notes of dried apricots and marmalade. This has a palate-tingling acidity with honeysuckle and sweet spice characters and supported by a creamy texture. 89 points. ♦ [Google-translated from Hungarian:] Green, precise, delicious, I recorded in my little notebook, and added a star to it…Pattern-like entry furmint, unmoved, with excellent balance. Furmint is fresh, vineyards (and yes, greenish), crystal clear, can be said in Austrian precise - the ideal basics I just imagine. It is light, very, but delicious and intense, even the discreet, rounding sweetness fits well in my taste, even though I am not a friend of sugar residue. Evaluation: Class first basic white. 10 points (= 85/100) A "Best Buy". ♦ The Château Dereszla Tokaji Furmint 2015 is slightly sweeter than I prefer but it does have the varietal’s characteristic apple and pear aromas and white blossom, pear and herbal flavours. It’s typical of many of the Furmints now being produced in the Tokaj region. Rather than waiting for age to round off some of the grape variety’s bracing acidity, winemakers are halting the fermentation before all the sugar has turned to alcohol. In this case there is 11g/L of sugar left, making it a very pleasant, easy-drinking crowd-pleaser. ♦ Ready to drink. Fresh fruity, notes of pear, apple and citrus, elegant. Serving grilled fish dishes, poultry, white meat, salads, on its own. ♦ Very nice green apple note on the nose, with the acid noticeable. There's a slight medicinal note, like a band aid soaked in alcohol.The palate shows nice cutting acid, with soft voluptuous notes of spice and fruit. Quite soft. Spice into the finish, with cutting acid, but it's also a little volatile and chunky feeling. Not a very good effort. 84 points. ♦ [This wine] was everything a great cheap white wine should be: clean, fresh, and varietally correct. It had spice (white pepper? ), apricot fruit, and even some nuttiness (almonds?). Missing was any harshness, unripe fruit, or lingering sweetness that wines from less known regions often have. Highly recommended, and a candidate for the 2017 $10 Hall of Fame. ♦ It has subtle but appealing aromas of ripe orchard fruit, beeswax, with hints of honey and spice. On the palate it is wonderfully crisp and minerally. Similar flavors follow though, with more pronounced notes of stone fruit, particularly apricot. A lovely waxiness to the mouthfeel adds a nice richness and complexity. Tasty minerally finish. ♦ This delicious dry white wine is made from Furmint, one of the main grape varieties that makes the famous sweet wine Tokaji. Highly aromatic with notes of ripe peaches and pears on the nose. The palate has rich stone fruit and tropical fruit flavours of peaches and lychee. A grapefruit acidity gives freshness to the wine which finishes long and fruity. ♦ Pale lemon colour with floral, white peach, blossom character. Dry some almond and quince, leesy touch on the mid palate. Good structure, fine fruit driven style on the palate as well, full bodied with some richness. This is yet another varietal for which there are no bottlings generally rated anything much above what's on our list above.